Dillon Heatherington has slowly, but surely, been moving up the draft rankings month to month. The Swift Current Broncos have relied heavily on him and teammate, Reece Scarlett, to rack up key minutes on a team that gave up one of the fewest goals against in the entire WHL – much in part to Heatherington. Heatherington already has NHL size. Standing 6’2″, he a physical force on defense. He’s surprisingly mobile for such a big defenseman, but it’s refreshing to see someone of that size skate as well as he does. He’s developed well under Swift Current’s system and rounded out his defensive game as the season progressed. His offensive numbers won’t jump out at you, but they are effective for the type of game he plays. He sees the ice very well and knows when to dish the puck before getting into trouble. Heatherington is mainly a defense first/offense second type of defenseman, but he has shown great awareness and puck control. There aren’t many flaws to his game, which is likely why he consistently received higher ranks throughout the year and likely why he will be selected higher than most. He may not be taken in the 1st round of the draft, but I doubt he falls past the 2nd. “He’s got very good size at 6’4 and 196 pounds. He skates well, with a big powerful stride and the mobility to stop and backpedal on a dime. He’s got good reach, an active stick and has the smarts to always be on the correct side of the puck. His physical play has also shown solid growth this season, engaging the body more and learning to use his size and weight in the corners and in battles for loose pucks. He competes hard and rarely gets exposed by a forecheck. Very smart with the puck and if he doesn’t have a passing lane in his own zone, he’ll simply chip the puck out and avoid any risks. He’s been paired mostly with Devils prospect Reece Scarlett this season, playing top-pairing minutes against other teams top lines. Heatherington played for Team Canada at the U18 WJC where he had one point in seven games. 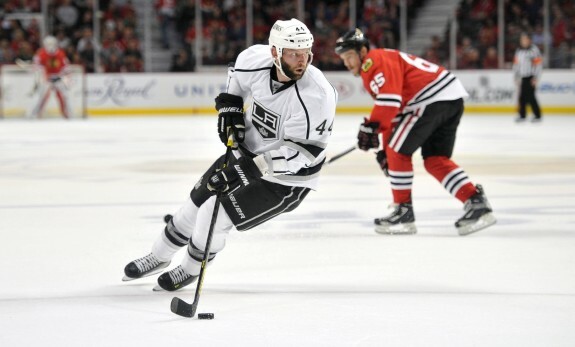 -The way Heatherington uses his body and size, coupled with his vision and puck control, he is similar to Robyn Regehr in his style of play.